In the dining room or at the cottage, clams can be prepared and enjoyed in a variety of ways from the simple to the elaborate. 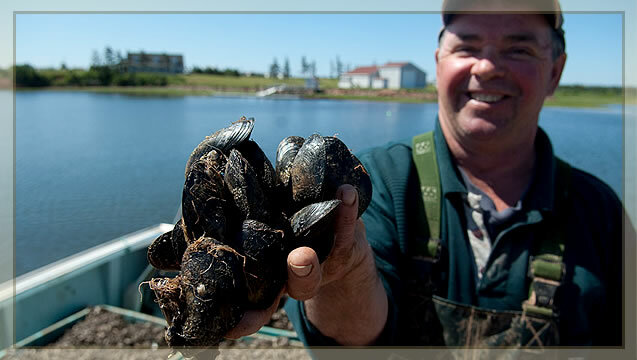 Steamed, baked, fried or used in chowders, clams are as much a part of summer on Prince Edward Island as our sandy beaches. Heat 1 tbsp olive oil in a sauce pot and sauté shallots and garlic. Add Clams and white wine and bring to a simmer. Cover and steam for 4 - 7 minutes (depending on size). When the Clams are open, remove them and keep them hot. Re-heat the pasta in boiling water and place it into the sauce and toss together. 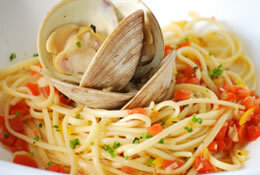 Place the pasta and sauce in pasta bowls and garnish with the cooked clams. Melt 1 tbsp butter in a sauce pot and sauté shallots and garlic. Add clams and white wine and bring to a simmer. Cover and steam for 5 - 8 minutes (depending on size). Reduce the liquid in the pot by one third, add the tomatoes, and simmer for two minutes. Add herbs, stir in the remaining butter, and season with salt and fresh cracked pepper. 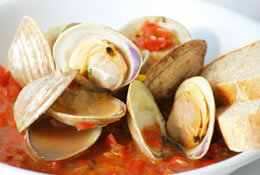 Place the clams in a bowl and pour the tomato broth over top and serve with crusty French bread.